The Senate has officially voted, 52 to 48, to prevent the minority party from using a filibuster to block judicial and executive branch nominees except for those nominated to the Supreme Court. Senate Majority Leader Harry Reid, D-Nev., put the rule to a vote Thursday morning. 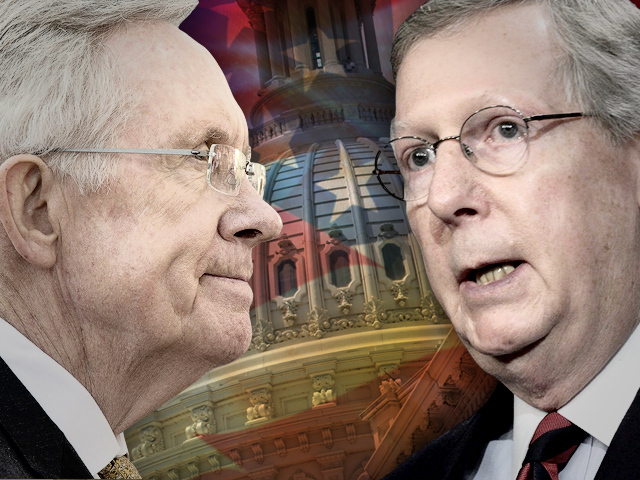 Known as the “nuclear option,” the procedural maneuver allows the majority party to change the Senate rules with a 51-person vote, in this case used to make it more difficult for the minority party to block certain nominees with a filibuster. Obama supports nuclear option: "Enough is enough"
President Obama made a rare appearance in the White House briefing room to signal his support after the change was made, saying it was necessary for him to carry out his constitutional responsibilities. "This isn’t obstruction on substance, on qualifications, it's just to gum up the works. And this gridlock in Congress causes gridlock in much of our criminal and civil justice systems," Mr. Obama said. He added that neither party was "blameless" in a conflict that has developed over several years. "But today’s pattern of obstruction, it just isn't normal," he said. " It isn't what our founders envisioned." Mr. Obama in fact opposed a rules change in 2005, saying in a speech at the time, "If the majority chooses to end the filibuster, if they choose to change the rules and put an end to democratic debate, then the fighting and the gridlock and the bitterness will only get worse." Reid has threatened several times in recent years to change the rules in the face of Republican opposition, but each time was able to reach a deal to avert the standoff. Not so this time. In recent weeks, Republicans have blocked several of the president’s nominees, including Rep. Melvin Watt, D-N.C., to head the Federal Housing Finance Agency, and four nominees to the U.S. Court of Appeals for the District of Columbia Circuit, prompting an outcry from Reid. Reid: Senate deal to avert "nuclear option" is "good for everybody"
Reid believed Thursday morning he had the votes necessary to change the Senate rules such that Republicans would no longer be able to use the filibuster to bock judicial and executive branch nominees. The new vote threshold for those nominees is 51, a simple Senate majority that represents less than the Democrats’ 55-seat majority (a figure that includes the Senate’s two independents, who usually caucus with the Democrats). Previously the nominees typically required 60 votes in their favor to overcome a potential filibuster. The vote Thursday came in the waning hours before the Senate leaves for their Thanksgiving recess. As a last-minute test, Reid put forth the nomination of Patricia Millet to be a U.S. Circuit Judge for the District of Columbia Circuit one more time to see if Republicans would still block the nominations even with the threat of the nuclear option on the horizon. The nomination failed by a vote of 57 to 40, but after the rules were changed lawmakers were able to advance her nomination with a vote of 55 to 43 with two abstentions. Speaking before the vote Thursday morning, McConnell, sought to tie the Democrats’ attempted rule change to the troubled rollout of the Affordable Care Act, arguing that Democrats were concocting “a fake fight over judges that aren’t even needed” in order to distract from the rollout. He also scolded Democratic lawmakers who have been in the Senate before while Democrats were in the minority. “You should know better,” he said.